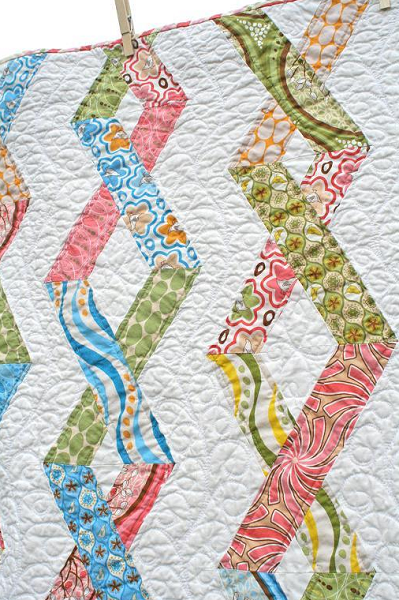 The piecing is easier than you think—no paper-piecing or templates necessary for this one! All you need is some careful cutting and a scant 1/4" seam. 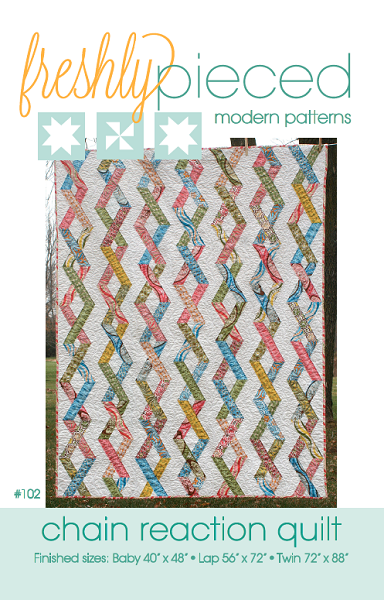 This 8-page, full-color pattern includes detailed step-by-step instructions to complete the quilt in three sizes: Baby, Lap, and Twin. The pattern includes a full-color photo or how-to diagram for nearly every step. Baby - 46" x 56"
Lap - 60" x 70"
Twin - 74" x 90"